This is a course for anyone who wants to write a novel, no matter what stage you’re at. Your book might be already written, or might only be an idea bubbling away or some scribbles in a hand written notebook. This course will explore the mysteries of the novel and share ways and means of capturing that mystery in a concrete form on the page. From germinating an initial idea through to character development and plot; to looking at difficult questions like how to ‘kill your darlings’, and sustaining your story; through to editing and presenting your manuscript and ways of approaching agents— the course aims to pack in as much as possible. Different methods and approaches will be offered and explored in a way that is practical and fun. We will also look at that burning question of keeping confidence on such a long-term project. You will be able to share your own work in a friendly and supportive environment that will aim to take you on the next step of your novel journey. 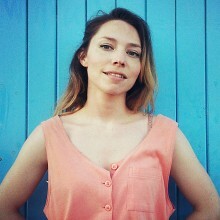 Holly Müller is a novelist, short story writer, and musician. Her debut novel, My Own Dear Brother, a historical fiction set in post war Austria, was published worldwide by Bloomsbury in 2016 and she has published short stories in anthologies by Parthian Books and Seren Books. She has performed her work at literary events including Hay Literature Festival and Cheltenham Literature Festival and has written for The Independent and The Guardian. She has a PhD in Creative Writing from the University of South Wales where she tutored creative writing for several years. Kate Hamer’s novel The Girl in the Red Coat was published by Faber and Faber in 2015. It was shortlisted for The Costa First Novel Prize, the British Book Industry Awards Debut Fiction Book of the Year, The John Creasy (New Blood) Dagger and Wales Book of the Year. It was a Sunday Times bestseller, and has been translated into 16 different languages. Kate won the Rhys Davies Short Story Competition prize in 2011 and the winning story was broadcast on BBC Radio 4, she also has short stories published in anthologies such as A Fiction Map of Wales and New Welsh Short Stories. She’s written articles and reviews for The Independent, The Sunday Mail and The New York Times. Her second novel The Doll Funeral is due to be published by Faber early in 2017. A.L.Kennedy is the author of 17 books: 6 literary novels, 1 science fiction novel, 7 short story collections and 3 works of non-fiction. 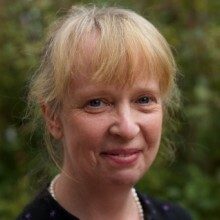 She is a Fellow of the Royal Society of Arts and a Fellow of the Royal Society of Literature. She was twice included in the Granta’s Best of Young British Novelists list. 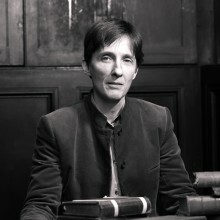 Her prose is published in a number of languages, and she has won awards including the 2007 Costa Book Award and the Austrian State Prize for International Literature. She is also a dramatist for the stage, radio, TV and film. She is an essayist and regularly reads her work on BBC radio and occasionally writes and performs one-person shows. She writes for a number of UK and overseas publications and for The Guardian Online.